Christmas is just around the corner (have you finished your Christmas shopping yet? 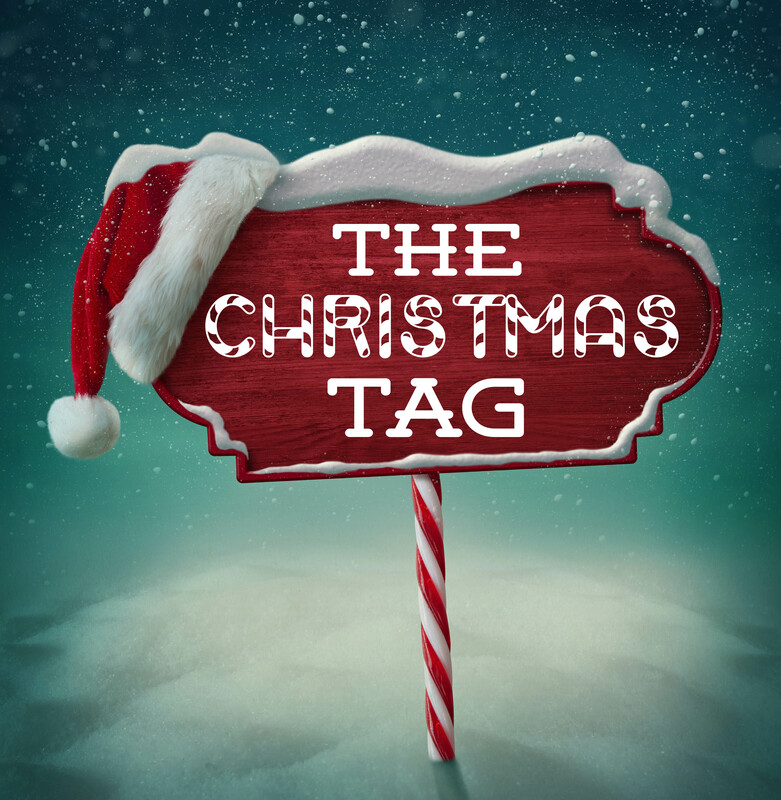 ), so I thought it would be fun to do ‘The Christmas Tag’. I saw it on Andrea’s blog about a week ago and knew I had to do it. I tag anyone who would like to do this tag! I love reading about Christmas traditions etc. I haven’t watched a heck of a lot of Christmas movies, to be honest. But one that really stands out to me is Love Actually. Especially the ‘To me, you are perfect’ scene, it seriously makes my heart melt every single time. Check it out below. I will always prefer the traditional Christmas colours i.e. red, green, gold and silver. I am not a fan of pastel colours for Christmas (weird, I know…since I love pastel colours for everything else). I don’t really dress up in traditional colours leading up to Xmas but usually wear something festive on the 24th / 25th. As for makeup, I will most definitely wear some gold on the lids with maybe a subtle red lip (yes, I will crawl out of my comfort zone and attempt a red lip). Both! It works out perfectly because my family has always celebrated Christmas Eve and Neal’s family are more into Christmas Day. So on Christmas Eve Neal and I go to my mom (and we’ll open a couple of gifts there) and Christmas Day is spent with Neal’s family (where we also open a couple of gifts). But the main affair actually happens here at home because Neal and I will open our pillow cases (filled with gifts) on Christmas morning whilst nibbling on mince pies. The whole pillow case tradition started when I was a little girl, on Christmas morning my brother and I used to wake up SUPER early and run to the Christmas tree, where Santa left each of us a pillow case filled with gifts (it was so awesome). I decided to keep the tradition going, so every year Neal and I fill a pillow case each with gifts for each other. What is your favourite Christmas scent / fragrance? Cinnamon – I adore any type of cinnamon scent all year round but there’s something about the scent and Christmas that just makes my heart happy. The Beauty Factory has the perfect range of bath products for this time of the year – see here. The range is called ‘Desert Dune’ (but I personally think they should give it a more festive name) and contains cinnamon and myrrh, it’s basically Christmas in a bottle. I have the hand & body lotion and I apply it every night before I go to bed – bliss… I own a few Christmas scented candles but my ultimate favourite is the Yankee Candle called ‘Red Apple Wreath’, it’s a blend of sweet apples, cinnamon, walnuts and maple – soooooo good! Come now… Let’s be honest… I love receiving gifts (who doesn’t?) but I also enjoy giving gifts. I am not someone who will just buy a gift for the sake of getting something for someone, I will think about it for a while first. That way I know the other person will actually enjoy (and use) the item and they will know that I put some thought into it. I’m not really into the whole fashion thing… Don’t get me wrong, I do enjoy dressing up (but in my own way). I don’t wear dresses or high heels (I’m quite tall), so will usually wear something cute (yet comfortable) and will add a little festive twist by wearing Christmassy earrings or hair accessories. Plus will definitely be doing a special Christmas mani, just need to decide on a design. The Woolworths Gingerbread Latte really gets me in the mood for Christmas but on the really hot days, I enjoy sipping on my homemade iced tea (for my recipe, click here). On Christmas Eve and Christmas Day we usually sip on some bubbly or I make chilled Eggnog (recipe here). I’m not that fond of cookies and biscuits, so I’ll take the candy canes – thank you. Spending quality time with friends and family. Reflecting on the year that has been. And thinking about the year ahead. And then also filling my tummy with delicious cold meats, salads and frozen cocktails. I hope you guys have an amazing week! I’ll be taking a break from blogging for at least a week as I need to do some spring cleaning in our house, sort through all my clothes (and Neal’s) to donate and go through my makeup collection. I’ll have a HUGE blog sale in January & February 2014 (I just have too much makeup in my collection) and everything will be super cheap (like 50% – 70% off). Happy holidays to all my special readers! OMW, this tag post really made me excited for Christmas!!!!! And that video is just tooooo romantic, my boyfriend needs to take some lessons from that man!!!! Merry Christmas, Luzanne and enjoy your break. Isn’t that scene just amazing? One of my favourite movie scenes of all time. Hi Luzanne, I hope you have a very merry Christmas and a happy new year. May you be blessed in every way possible. Oh, I wish I would have seen this earlier and done this tag, it’s so cute! I actually haven’t seen Love, Actually!?! Whattt?!? I don’t know why, but after watching that clip I definitely want to watch it now. Looks so sweet! I like the pillowcase tradition, so neat and different. I like receiving gifts too, I mean who doesn’t! But I definitely like giving as well! I hope you had a wonderful Christmas with you family, Luzanne! Yes, you HAVE to watch Love Actually!! It’s SUCH a romantic movie! Love your answers. I can definitely agree with a few. Love cinnamon all year round! I’m so envious of your traditions. I wouldn’t mind the whole pillow case thing. I’m way too obsessed with opening gifts on Christmas but we don’t give a lot. Love these tags.